Hi friends and family! We made it to the Maple Syrup Festival. The first day was a bit icy, slushy and a little muddy, but all in all fun. 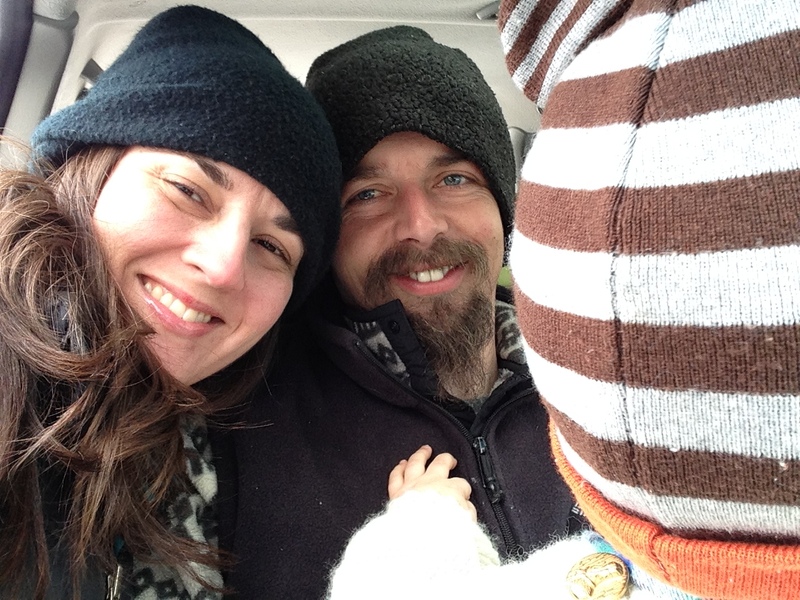 We always break out long johns and mud or snow boots and go with it. February is known for its cabin fever frenzy in the homschool world, so we embrace this little festival as a means for breaking free from the fever. 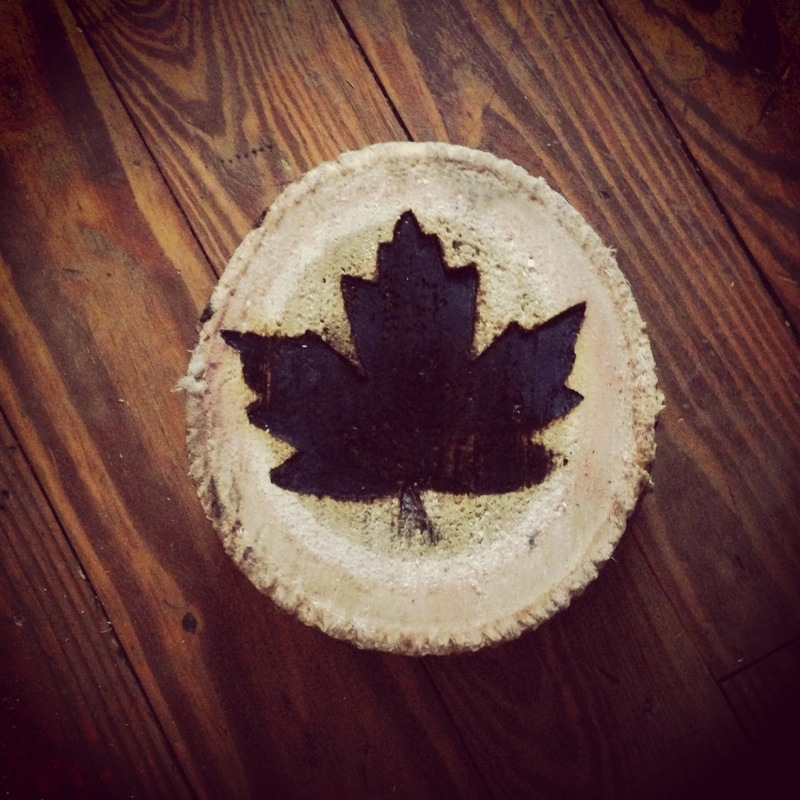 Aside from a couple big jugs of Maple Syrup (grade A and B), as gifts from The Gramps, we took home this lovely log slice, with a maple leaf branded on the side. It makes a beautiful addition to our seasonal nature table. Upon arriving at the festival our boys were all excited about perusing the tents and buildings, so they could wonder over any knives that fit their budget. They left with a few treasures in their pockets, spent with saved money. After we shopped for a bit we headed to the main syrup processing building, where we ate lunch. Thankfully, there was a large table open for all of us, four adults, and three children. Any child under 5 eats pancakes or waffles free, so Little Bear gobbled up his fair share. Here is the view from our table below. It was so nice seeing familiar faces. Parents, Grandparents and little ones. We cross cut sawed the log above. There were hatchets to throw. Maybe we missed it before, but they had a fantastic old-fashioned merry go round, made of one large log, upright in the middle, seats and ropes. Two young men pushed the children sitting in the seats, as the rope twisted around and round the middle upright log. Then, as they were let go, the seats whirled gracefully around. Amish people gave rides on their lovely wagons and beautiful horses. Homemade wine samples. Woven rugs for sale. Hand thrown pottery. Teas and coffees. And a little music with fiddles, banjos and guitars. Plenty to do! Just before we left I noticed books were 75% off, so for $1 a piece I bought each of my big boys a coloring book and activity book. Little Fox loves doing mazes, and brain gym games, as well as coloring, so this was perfect. Little Eagle, the oldest said he wasn’t interested in them, so I will just save them for Little Bear in a few years. 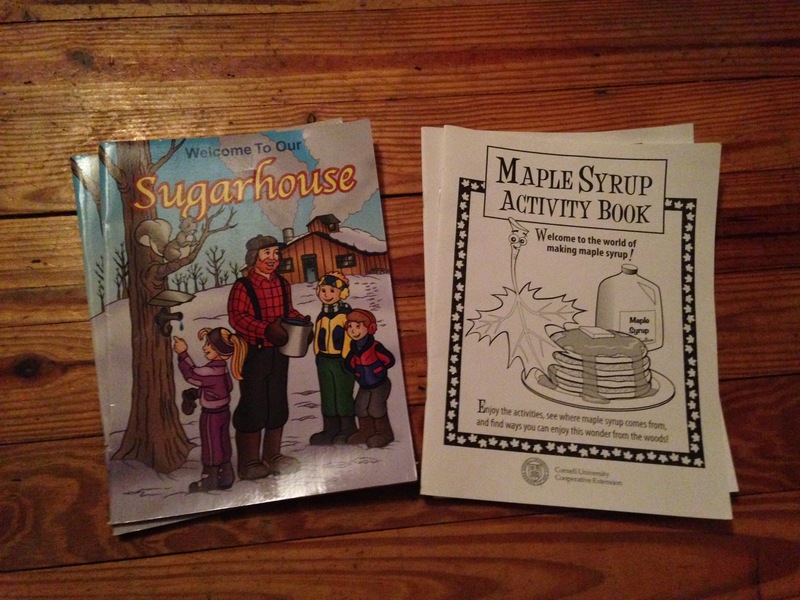 The website www.lmsugarbush.com has curriculum for homeschoolers, so check out the link. Here is a link to free coloring pages. We plan to use our syrup wisely this year, so that we don’t run out months in advance. Do you think we will use up a gallon? It is definitely possible if we cook with it And eat it on pancakes and waffles. Thanks for joining me here on my blog. I want to leave you with a picture of my husband and I. It is special for me to get a picture with him, as we both work so hard and take care of the kids, so getting in a picture together is rare. Mwah Papa Bear! Your story on the maple syrup festival brings back memories to when I was going to school in Pennsylvania. 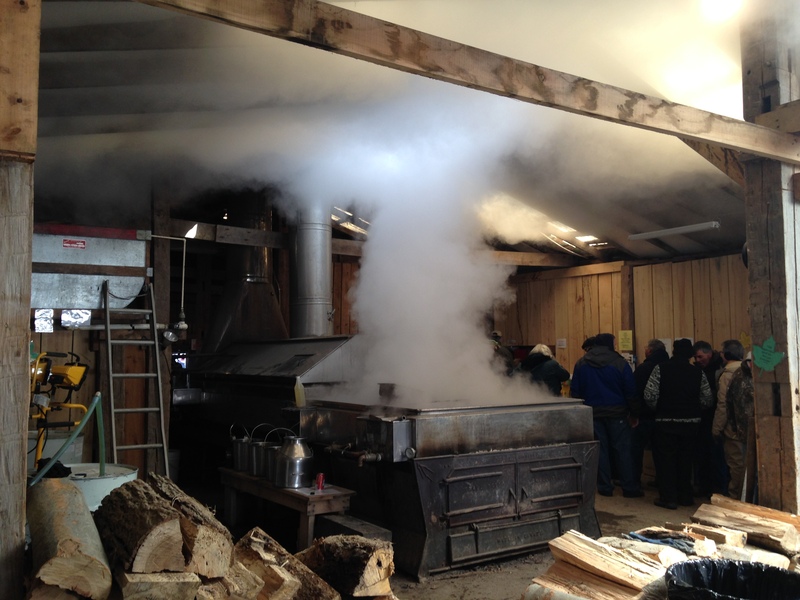 One of the amish community members had a sugar shack and we got to go see it in action.He had small hoses running from way up the hill connected to the trees and the sap slowly flowed into the vats. Yummy too!